The team’s two AC45 catamarans – ORACLE Racing Spithill and ORACLE Racing Bundock – will be skippered, respectively, by Jimmy Spithill and Darren Bundock. 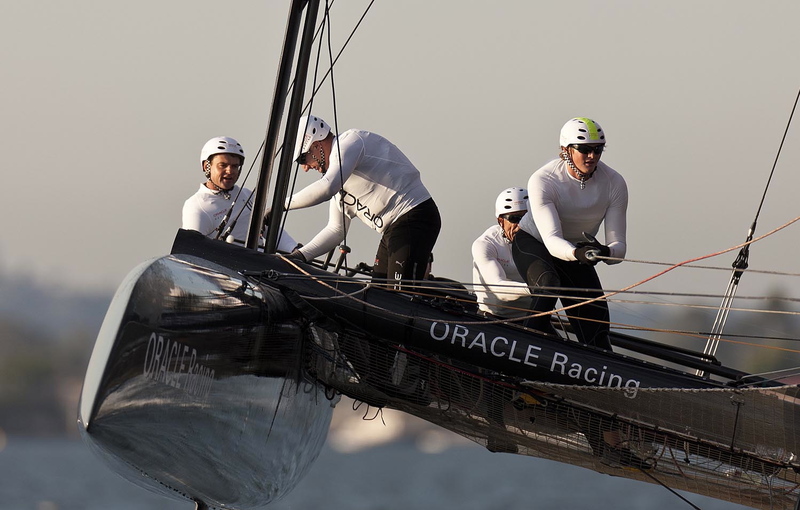 Spithill will race with his regular crew of John Kostecki (tactician), Dirk de Ridder (wingsail trimmer), Joe Newton (headsail trimmer) and Piet van Nieuwenhuyjzen (bow). 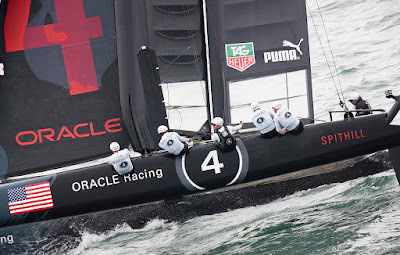 In sweeping the two championships of the America’s Cup World Series San Diego, ORACLE Racing Spithill couldn’t have concluded 2011 in a more resounding way. The crew heads into Naples 1 point off the overall lead for the 2011-’12 season championship. Bundock (helm, left image) debuted at the helm of an AC45 at ACWS San Diego last November. 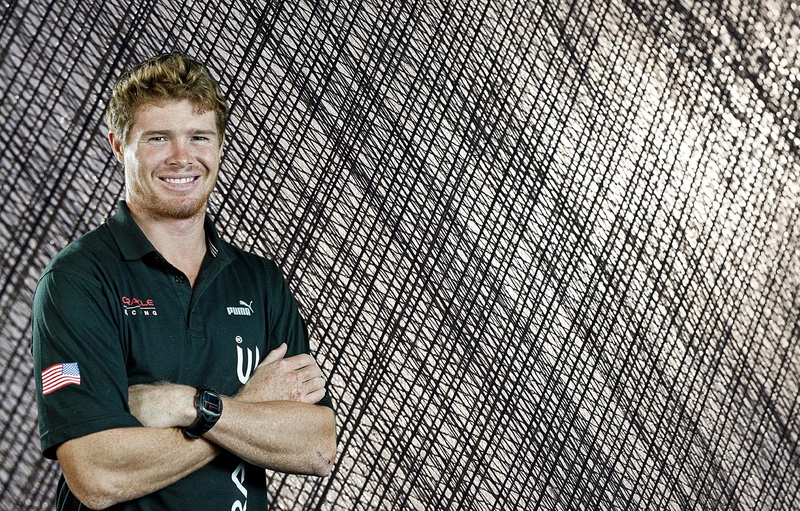 His crew in Naples will be a mix of newcomers and veterans: Tom Slingsby (tactics), Kyle Langford (wingsail trimmer), Simon Daubney (headsails) and Simeon Tienpont (bow). “San Diego didn’t go as well as I would’ve liked, but we’ve had two very useful training sessions in San Francisco and I think we’ll have a better showing in Naples,” said Bundock, the double Olympic silver medalist (2000, ’08) in the Tornado class. “We know the boat is fast, it’s won two of the three speed trials, so I’m excited about Naples and getting back to racing,” Bundock said. 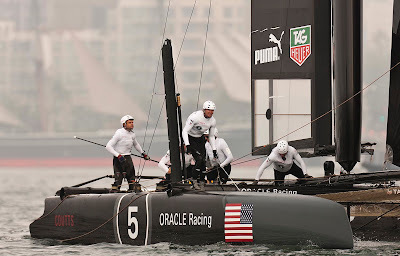 At ACWS San Diego, ORACLE Racing Bundock set the speed trial record time of 36.16 seconds over the 500-meter course for a top speed of 26.87 knots. 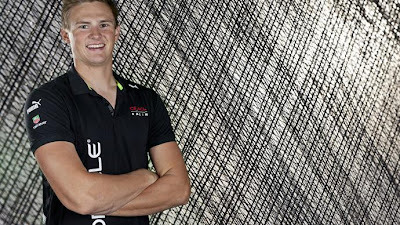 Slingsby (center image) and Langford (standing, right image) are two of the young guns in the team. 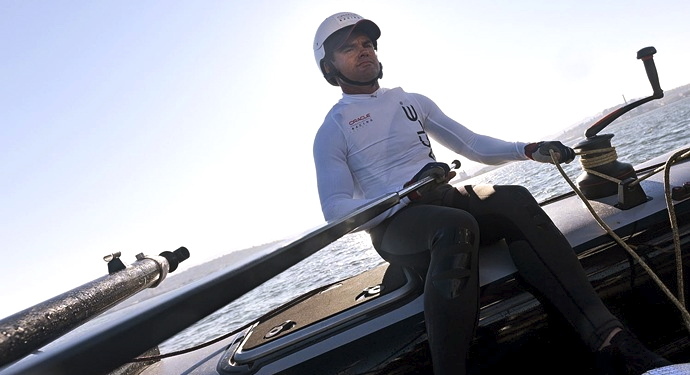 Slingsby, 27, has his sights set on winning a Gold medal at the London 2012 Olympics in the Laser class. 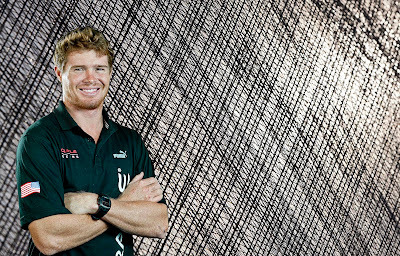 Langford, 22, is a past youth world champion (2005) in the multihull class and a past Australian Youth Sailor of the Year (2006). 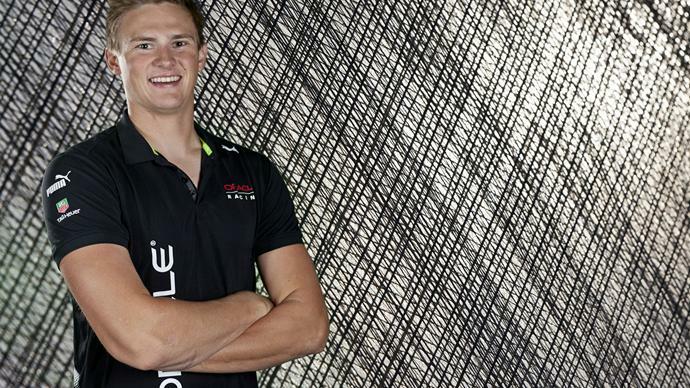 Slingsby will be arriving in Naples fresh from the ISAF Sailing World Cup in Palma, where he raced the Laser in preparation for the Olympics. 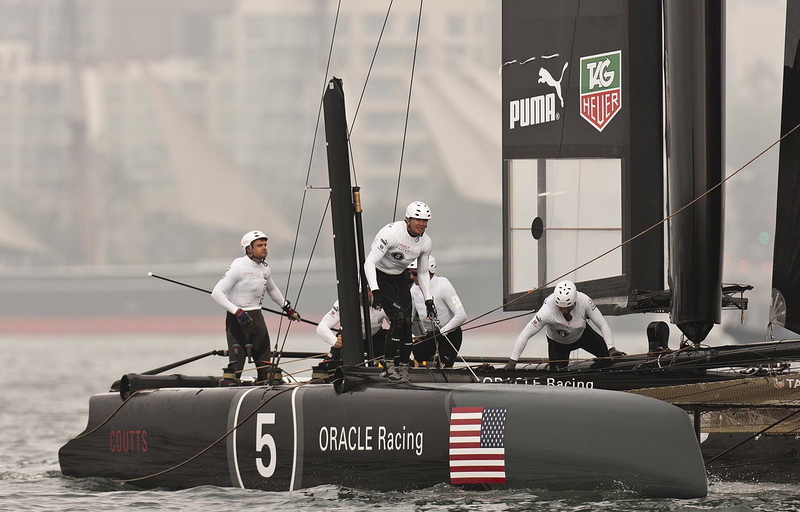 The two bullets in San Diego put ORACLE Racing Spithill within 1 point of the overall series lead. 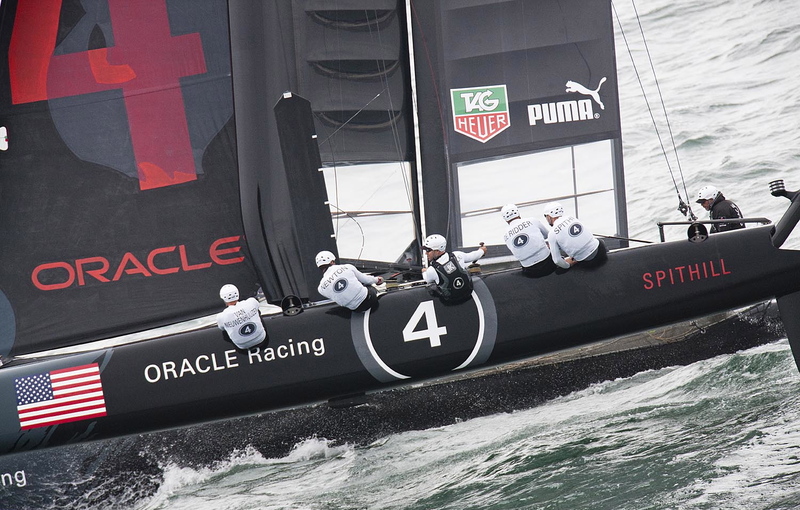 ORACLE Racing Bundock is tied for fourth overall. After ACWS Naples, regattas follow in Venice, Italy (May 15-20) and Newport, R.I. (June 27-July 1) to conclude the 2011-’12 ACWS season.